Are you currently organizing your next trip to Paris? 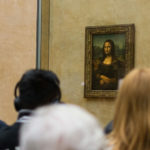 We at Booster2Success want to help, so we crafted a list of our most famous monuments in Paris. You will want to include them all, but you will have to choose! In the heart of the Cité Island, the Notre Dame cathedral is one of our most famous Gothic gems. The construction started in 1163 and lasted more than two centuries. Many French Kings were celebrated in Notre Dame but only one had the prestige of being crowned there: Napoleon. Furthermore, Notre Dame Cathedral is one of the main locations in Victor Hugo’s famous eponymous novel, The Hunchback of Notre-Dame. 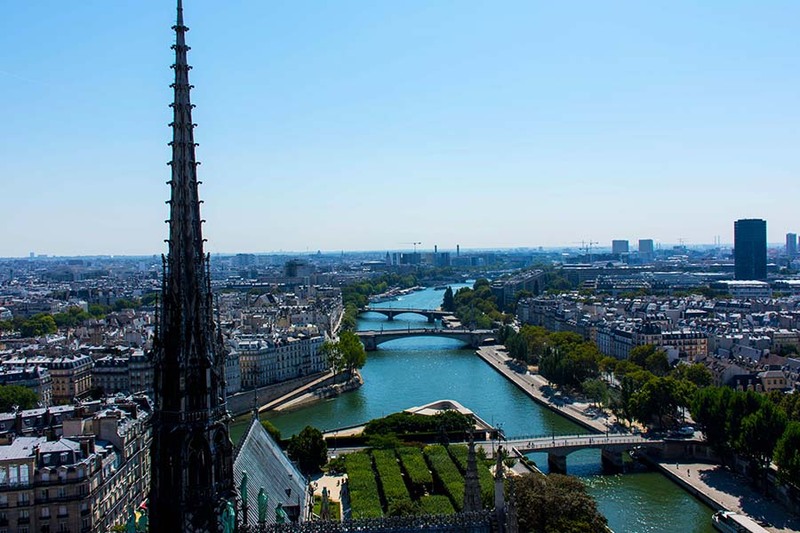 Climb the many steps up and enjoy the wonderful view of Paris from the top of the cathedral towers. You will have gargoyles at your level to take a selfies with! The musée d’Orsay is one of the most fantastic spots in our list of famous monuments in Paris. It was inaugurated in 1986 in the former Orsay train station by the French president François Mitterrand. This museum hosts a large collection of impressionist and Western masterpieces from 1848 to 1914. 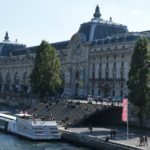 Orsay museum is definitely a must see in Paris. Check out the small Statue of Liberty and the Rodin sculptures! The construction of this architectural marvel, a cathedral at the top of Montmartre hill, lasted from 1875 to 1914 with the addition of the bell tower. By the way, this edifice is directly inspired by the Saint Marco basilica cupolas in Venice. 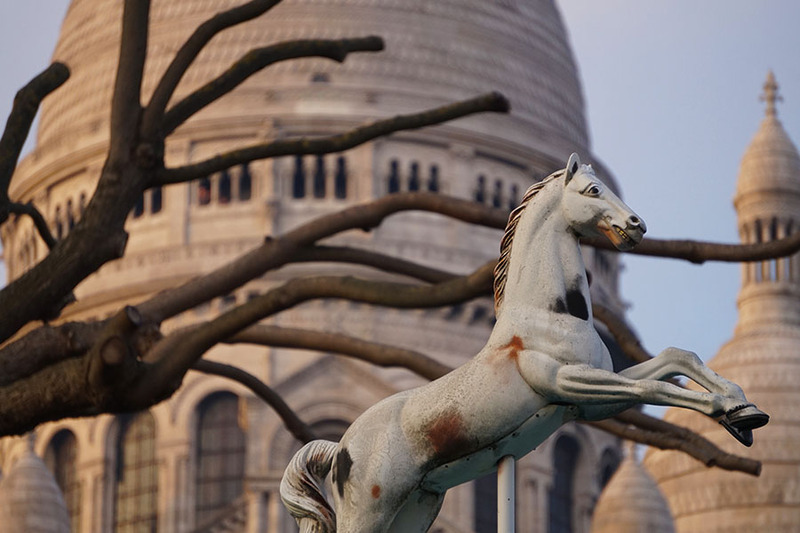 Be aware that you will have to climb 237 steps to admire the Sacre Coeur, but you’ll see why it’s worth every step! In our list of the famous monuments in Paris, we could not miss the Louvre museum. This former royal palace measure more than 72 000 sqm (775 000 sqft) and exhibit more than 35 000 art objects. On your way meet the most famous goddess of love, the Victory of Samothrace or the infamous Mona Lisa. Do not expect to be able to visit the whole museum in one day! 2019 is also the year of the 500th birthday of Leonardo da Vinci death, do not miss the special exhibition on that occasion. The Pompidou modern art center is also one of the most famous monuments in Paris. It was constructed in a place called Beaubourg which used to be public parking. This architectural marvel was inaugurated by president Georges Pompidou in 1977. The design of the building is well known for its gigantic colorful pipes. Inside the building you’ll find the french National Museum of Modern Art. The collection is divided into two periods: modern (1905 to 1960) and contemporary (from 1960 to the present days). At the Pompidou art center, we also love the panoramic view of Parisians roofs. It’s magical! Have a drink at sunset and watch the city change colors and the lights twinkle on. Located rue du bac #140, the chapel of our lady the miraculous medal is a well-known pilgrim spot in Paris. Every year a large number of faithful people come from the entire world (2 million visitors each year). The pilgrims travel to pray at the place where the Virgin Mary appeared to Catherine Labouré in 1830. This beautiful building was constructed in 1875 by the famous architect Charles Garnier under the reign of the emperor Napoleon the 3rd. Gustave Eiffel himself took part in the construction of the Opera Garnier’s workshops. The splendor and beauty of the building from outside will surely give you the envy to visit this unique artistic institution. 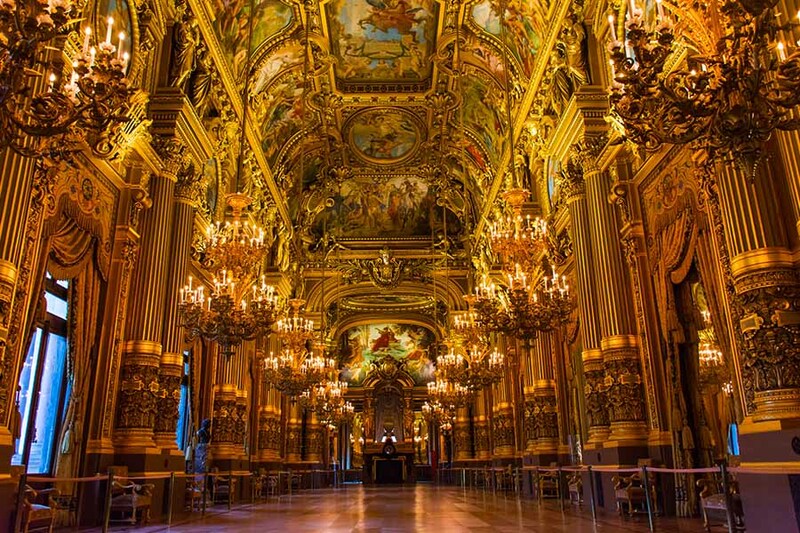 You could have a look at the backstage or even watch an opera performance. The Montparnasse Tower is one of the famous monuments in Paris we would love to introduce you to. It is one of the highest skyscrapers in Paris. The building was inaugurated in 1973 and as more than 7200 windows! From the top and its observation deck, the tower offers a spectacular view of the Eiffel tower and a 360° view of Paris! Events are frequently organized such as skating rink, trampoline or yoga classes… at 210m high! Champagne at sunset anyone? 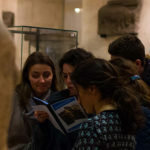 Booster2Success selects the best activities in Paris near its team building scavenger hunt.